She reads books as one would breathe air, to fill up and live. 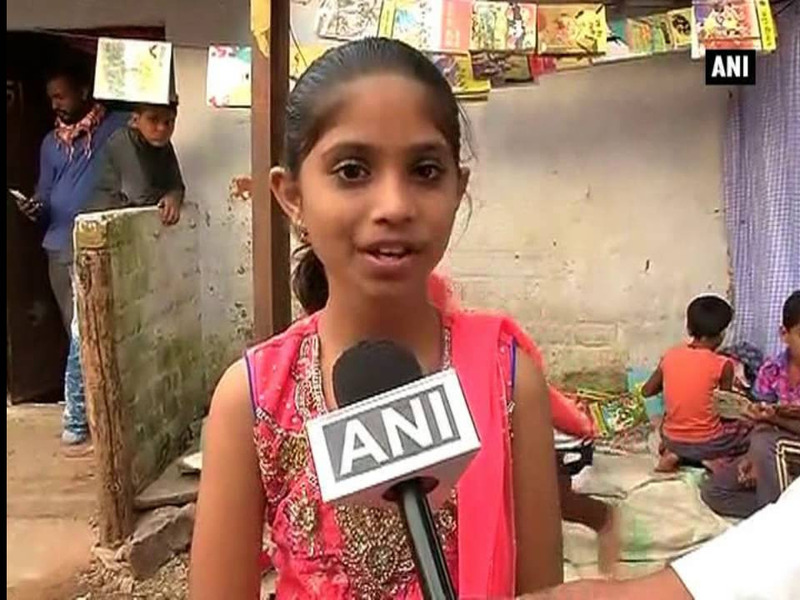 We are talking about Muskaan, who studies in class 3 and hails from the slums of Bhopal. Other than her own reading habit, She also runs a library for other kids. She started this library in January in the slum area at the back of ‘Rajya Shiksha Kendra’, in Arera Hills. Everyday after coming from school at around 4 pm, she sets her library on a mat outside her house. All the kids in the slums eagerly wait for their ‘Bal Pustakalaya’ to open. She started this library when a team of State Education Board visited this slum at the back side of their office on new year. They had conducted a question answer round, in which Muskaan excelled and won the hearts of the team members. They donated 25 books at that time and some more on Republic Day. "Currently, officials have provided 119 books to the library, which is my responsibility and I love doing this. Other children in slum area take books and then return them the other day. Some stay back to read here with me and ask questions where they don't understand," said Muskaan, while talking to TOI. Here’s a clip of her talking to AJ+ News.